The stakes are sky high in the battle to curb air pollution. According to the World Health Organization (WHO), environmental pollution pre-maturely kills more than 12 million a year with close to half dying because of air pollution. Several experts promote green finance - otherwise known as financial services that support economic activities that deliver environmental benefits - as one way to reverse the pollution trend. "I'm sure green finance can play a critical role in containing global warming and improving our environment. 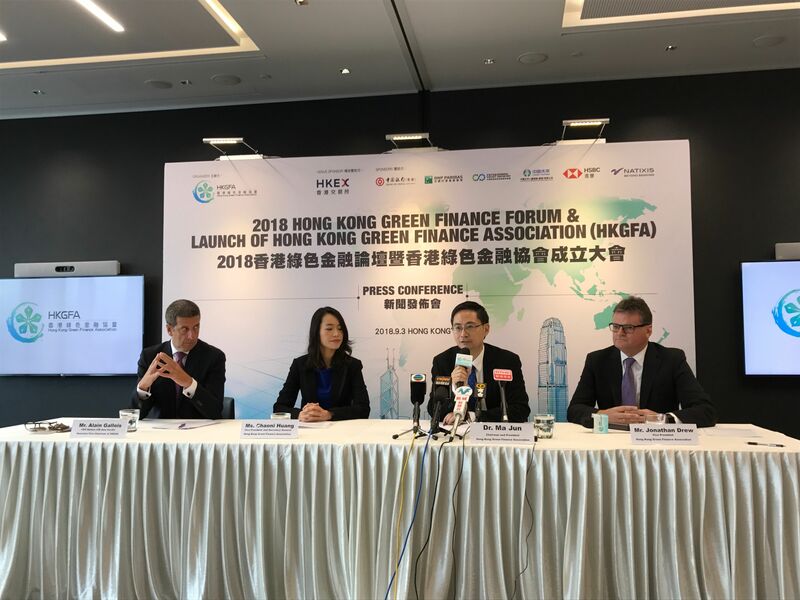 The question is who is going to make the investments that are needed," explains Dr. Ma Jun, chairman and president in the recently formed Hong Kong Green Finance Association (HKGFA). In Asia, China leads the way when it comes to green bonds, crafting domestic green bond frameworks and encouraging issuers to tap the market. Other markets have followed suit, with Singapore introducing its green bond grant scheme last year, while Hong Kong's government announced that it is planning a HK$100 billion sovereign green bond issuance programme. The OECD (Organization for Economic Co-Operation and Development) estimates that the world would need to invest US$6.9 trillion per year from 2016 until 2030 in green, low-carbon and climate-resistant infrastructure. For China specifically, Dr. Ma predicts that the country would need US$600 billion per year ring-fenced for green projects. "However, the government can't finance these requirements on its own. In China we issued a document saying that only 10% of green investments can be provided by the government, 90% of the green investment has to come from the private sector which essentially tells us why we need to green the financial system," shares Dr. Ma. "We need to mobilize green capital through all financial institutions including banks, asset managers and insurance companies in the capital markets." This laudable aim to plug the funding gap still remains an aspiration, according to Asset Benchmark Research (ABR). A survey of astute fixed-income investors in Asia conducted by the ABR earlier this year found that only 48% of participants incorporated ESG (economic, social and governance) factors into their respective portfolios. Spreading awareness via government policies is one way to promote green finance in Asia. "In Hong Kong itself we have seen strong signals from the government to develop their green finance market. "We need to promote adaptation of green finance principles among financial institutions in Hong Kong including the principle of responsible investment," says Dr. Ma. Scheduled to be officially launched on September 21, 2018, the HKGFA, headed by Dr. Ma, aims to provide guidance and clarity on the adaptation of best practices on green finance in Hong Kong.